HG Logistics News March Madness - Let the Battles Begin! March Madness – Let the Battles Begin! At HG Logistics LLC, a freight transportation broker and third party logistics company located in Cincinnati, Ohio, it is our goal to achieve the highest standard of customer service through the efforts of teamwork and collaboration between employees, drivers, and carriers. Teamwork is what drives us daily, monthly, and throughout the years. 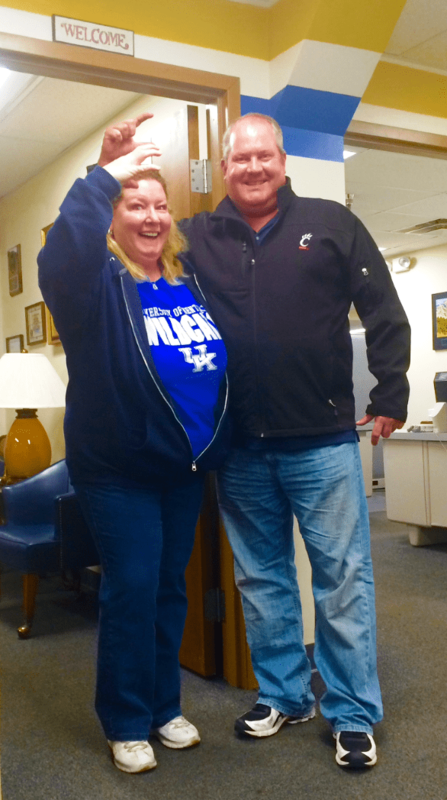 At HG Logistics, you are either a Bearcat fan or a Wildcat fan and everyone is taking sides. Needless to say, there is a lot of talk and bantering circling the office today. The experts state that undefeated Kentucky Wildcats definitely have the advantage, but you never know what may happen. That is the magic behind the tournaments. When emotions run high and the adrenaline is pumping you never know what the outcome may be. Strange things lurk in the midst of all this craziness. Perhaps this weekend, we will witness one of the greatest upsets of all time. Now, I hope you realize all this is just in good fun–RIGHT? However, I have no doubt that someone is going to be flaunting a victory sign is the face of the losers on Monday morning. Everyone, especially our customers, please be assured that after the “madness” dies down, things here at HG Logistics will return to normal. That supportive, team boosting atmosphere HG Logistics has become accustomed to will return with each team member (winners and losers) working diligently, side-by-side, to establish HG Logistics LLC as a winner amongst the freight brokers of the world. GO TEAM!